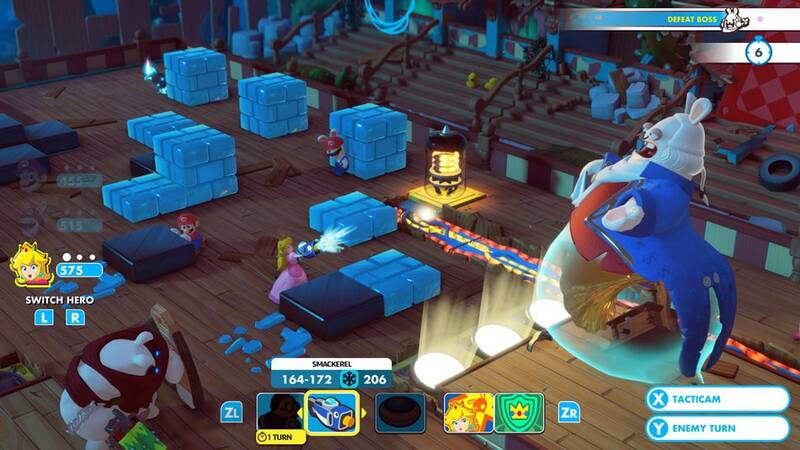 Combat is turn based, which gives plenty of time to think about how to best use each Hero's strengths. 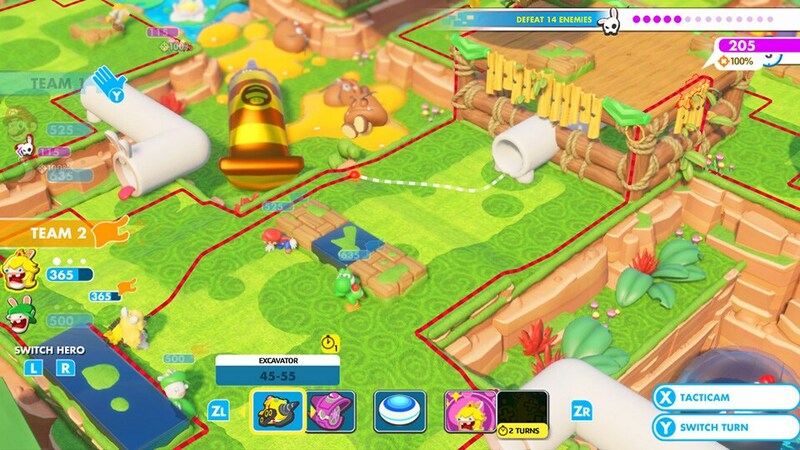 In general, Mario and company specialize in Team Jumps, while Rabbid Heroes focus on Dashes. Each Hero, however, has a unique Skill Tree that further personalizes their combat abilities. 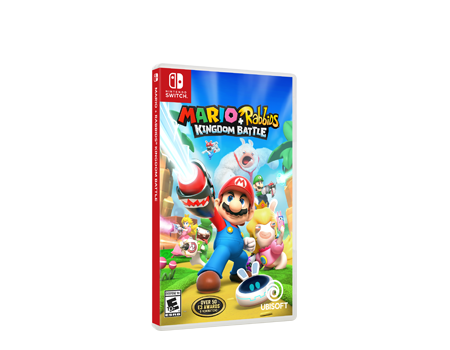 Team up with Mario, Luigi, Princess Peach, Yoshi and four Rabbids heroes to restore a twisted Mushroom Kingdom. 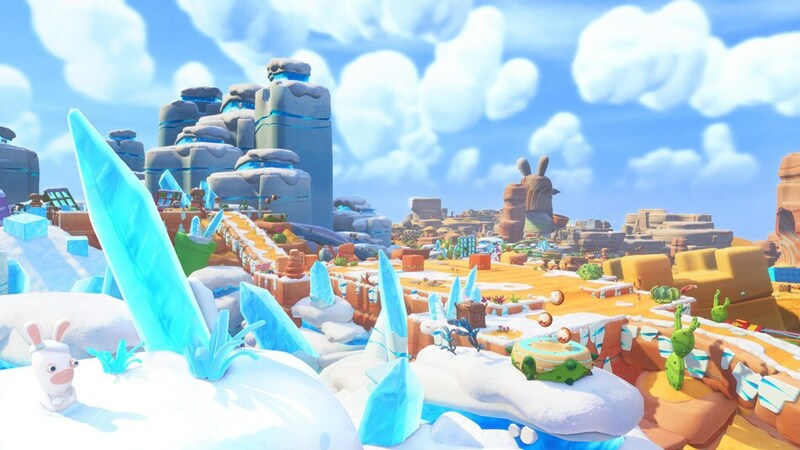 Arm yourself with hundreds of weapons and battle your way through four worlds filled with wacky Rabbid enemies and unique bosses. 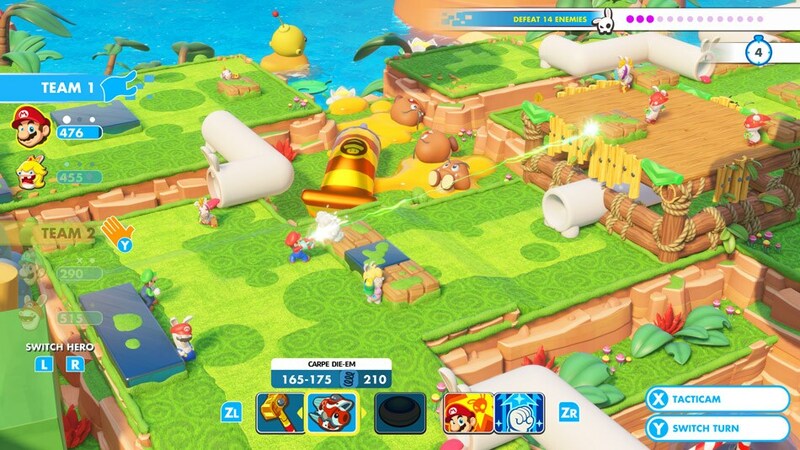 Join a friend and take on a series of co-op challenges in local multiplayer, featuring three levels of difficulty. Explore four unique worlds, full of challenging puzzles, unusual enemies, and twisted humor. Grab a friend and take on co-op challenges with 4 heroes. Battle outrageous bosses in every world. Take aim against challenging enemies in Spooky Trails. Explore a twisted and mixed up world full of surprises. At the end of each chapter, your Heroes' performance will be evaluated based on the number of combat turns needed to achieve victory and health lost. 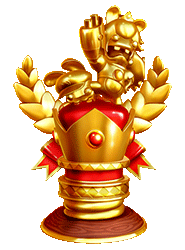 High scores earn trophies and Gold Coins with which to buy new weapons. 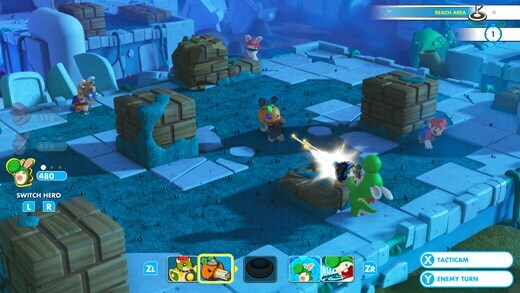 Remember, if a battle feels too challenging, you can always select Easy Mode and receive 50% Health Bonus before the fighting begins with zero penalty. WELCOME TO… THE BUDDYDOME! Here you'll embark on new co-op challenges for you and a friend via local multiplayer. Each challenge features three difficulty modes whose battles promise to be the ultimate test of your ability to work strategically as a team (and quite possibly, your friendship). 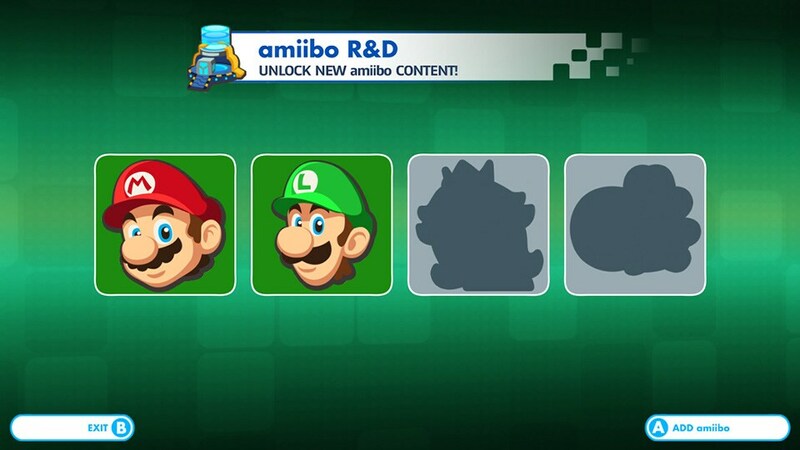 Amiibo R&D: Use your amiibos to unlock new weapons! 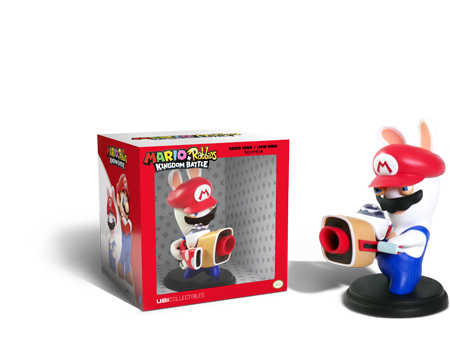 Any Mario, Luigi, Princess Peach, or Yoshi amiibo adds to your Heroes' arsenal.